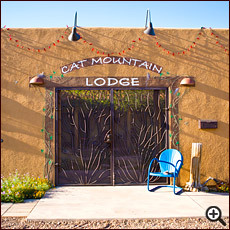 Rooms & Rates at Cat Mountain Lodge - Tucson, Arizona - A Bed & Breakfast in the Desert! 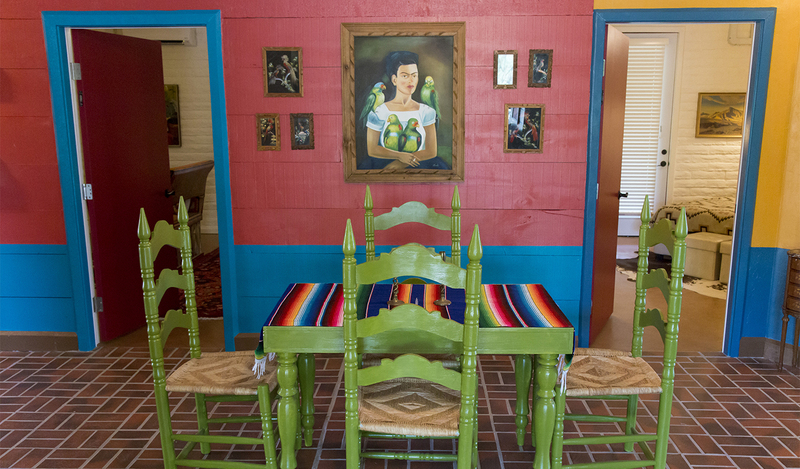 Each room opens to the shared hacienda style courtyard and has access to the Arizona Room, which includes a computer with printer, coffee/tea, books and magazines and a sitting area around a beehive fireplace. Next to the lodge is a desert patio, where you can walk a tranquil labyrinth and hang out with resident tortoise Juan Wayne. 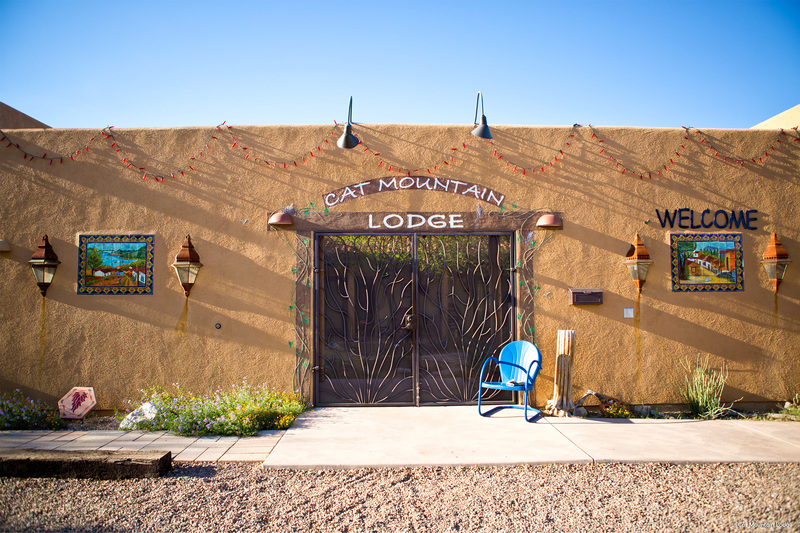 Each room opens to a wraparound porch with beautiful views of the desert on one side and Cat Mountain on the other. Behind the Inn is a patio with a chimenea and a succulent pyramid designed after the one Frida had in her courtyard at La Casa Azul. All rooms have access to the Lounge, which has a computer with printer, a fridge, a microwave, coffee/tea and board games. 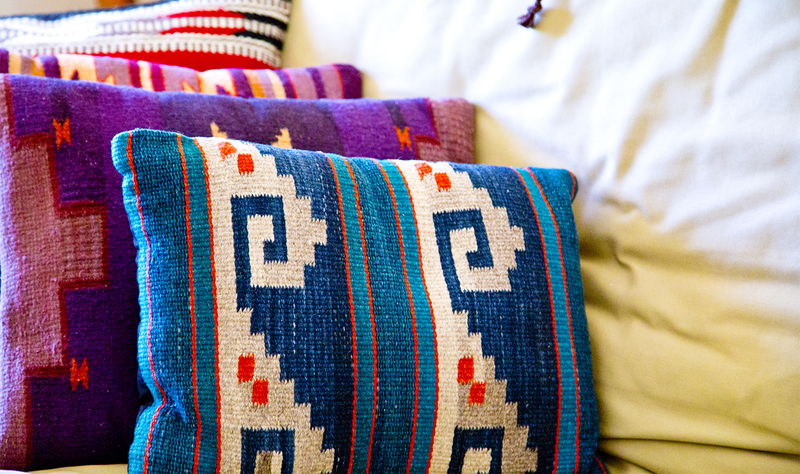 Standard Rooms and Suites at the Lodge and Inn include complimentary breakfast or lunch at nearby Coyote Pause Cafe. B&B guests also receive a discounted rate on star tours at Spencer's Observatory, located just steps outside the Lodge's courtyard. monthly rate available. Located just south of Cat Mountain Station. *Please make sure to contact the front desk to let them know you would like daily housekeeping.